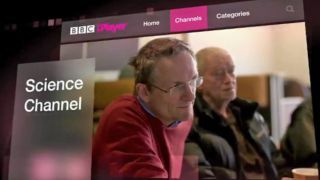 The forthcoming BBC iPlayer revamp will feature the planned download store, after the BBC Trust concluded the plans would be in the interest of license payers. The BBC Store will sit alongside the regular catch-up service and will allow those inclined to buy programming and keep them. In a demonstration of it's ultra-modern outlook, the Beeb said the store would be a natural progression for those fans who wish to buy DVDs of their favourite shows. "We're pleased the BBC Trust have approved proposals for BBC Store and recognise the benefits it brings licence fee payers, those who want to own BBC programmes and the creative industry as a whole." "We know people want to buy DVDs of their favourite BBC shows and BBC Store is a natural progression in a digital age. Along with our proposal to extend catch-up on BBC iPlayer from 7 to 30 days, this is great news for fans of BBC shows. We will share more details about next steps at a later date." The approval comes following the uneasy feeling surrounding the issue of asking license payers to fork out for content they've already paid for once. However, BBC shows are already to buy from portals like iTunes, Amazon Instant Video and Google Play, while selected content can also be obtained year-round on Netflix. The BBC Store will be set-up by BBC Worldwide, the commercial arm of the Beeb and will feature about 4,000 hours of recent and archive content, available to own. The new and improved iPlayer was announced in October 2013 and will place a greater emphasis on original programming, include pop up channels and also allow users to pause and commence viewing on different devices. It is scheduled for a full roll out in the first half of 2014 although specifics are yet to be confirmed.